Besides lemon, milk, sugar, aloe, turmeric, sandalwood and honey, olive oil is another household item that has multifarious uses as a beauty aid. It is a mild, non-irritant, antibacterial oil that is rich in antioxidants; hence is ideal for the skin. Here are a few things that you could do with olive oil. For an extremely dry skin, which is in dire need of a moisturizer, apply olive oil liberally all over and watch how your parched skin laps it up instantly to become smooth, elastic and hydrated. Olive oil is almost like the natural sebum (oil) that our skin secretes and hence feeding your skin with this oil does wonders to it. When you run out of moisturizer anytime, olive oil is a safe bet. For dry skins, ageing skins and in winters, it’s always good to put a few drops of olive oil in your face packs/masks before application. That way, your skin won’t feel dried up after you wash it off; but will remain hydrated and nourished throughout. A simple and effective mask with olive oil is to add a few drops of this oil to a tbsp of honey and 2 tsp of milk, blend well and apply it to your face and neck. Let it sit for 10-15 minutes before rinsing it off with cold water. For strengthening weak and brittle nails, just soak them in a cup of olive oil and see how it helps your nails and cuticles. For stained nails and fingers, add a few drops of lemon juice to olive oil and soak your fingers in it. Take slightly warm olive oil in your palm and gently rub it into your scalp with your fingers using gently movements. Do not forget to oil the ends as well. Read the post oil massage for hair, for the correct procedure. This helps with split ends, dandruff etc. and provides bounce and shine to dull, limp hair. Once in a while our mane needs a pack which will nourish and moisturize it and minimize the harsh effects of pollution and/or sun exposure. One such recipe for an amazing hair pack is this: Take 1-2 egg yolks, beat them well, add 2 spoonfuls of olive oil and beat the mixture again so that all ingredients blend well. Apply this pack all over your hair, leave on for 20-30 minutes. Then shampoo it off. You can even pamper your skin with an olive oil massage for the whole body before taking a bath. Alternatively you might even add a few drops of olive oil in the water before stepping into your bath tub. Also read Aromatic oils in the bath. Our lips are always vulnerable to cracking and chapping, irrespective of the seasonal climatic changes, due to their prominent position on the face and the lack of sufficient oil glands. The problem worsens in winter, though. So you can apply olive oil over them and as this oil edible, it’s perfectly safe to use. Regular application lubricates and heals your lips. Take a tsp of olive oil in your palm; prick a Vitamin E capsule to squeeze out a few drops in it. Mix well and gently apply to the crow’s feet and area around the eyes. Leave on for 10 minutes. Then wipe it off gently with a cotton swab soaked in warm water. To exfoliate the skin on your hands, you can mix sugar with olive oil and gently rub it all over your hands. Also you can massage olive oil on your hands and feet (cover it with socks) a few hours before going to bed. You will awaken with smoother and softer hands and feet in the morning. Did you know that you could use olive oil, instead of the shaving cream? For removing unwanted hair from your arms and legs, just smear olive oil over them and glide the razor for a smoother shave. You could use this home-made after-shave lotion afterwards. While shaving gets rid of the superfluous fuzz and gently exfoliates the top layer of your skin, olive oil nourishes and lubricates it; so you have this added advantage when you use olive oil for shaving. Men can use it on their faces while shaving and find their skins actually looking younger and younger day by day. If you run out of your makeup remover, olive oil is a good substitute. Use it to remove your make-up at night; it leaves a fine layer of oil to nourish your skin all night long. Olive oil is one of the most versatile natural oils, and is my favorite for deep conditioning before shampooing. Since its molecules are long chains, they bind with the hair strands effectively! Olive oil is indeed a multi-tasking product, it’s simply great for the skin and hair. EVOO and honey are 2 of my fave beauty treats! Both my great grandmother and gradmother used olive oil religiously for their skin - both of them had very few wrinkles and smooth, bright skin. It's an amazing beauty aide! Wow! Olive oil as a shaving cream? I have to try that one when my shaving cream finishes. It sound really messy. Does it ruin the razor at all? Thanks for these wonderful tips! Anyaposh, it might make the razor a little blunt; nonetheless it's a good substitute when you run out of a shaving cream. thanks for those wonderful tips.i love ur site. WOW "OLIVE OIL" It really brightens my skin. Hi Mrs. Jyoti Ashok, glad you dropped by. It helps your "good" cholesterol. And helps get rid of the "bad" cholesterol. If you have a family history of heart disease, Olive Oil is what you should be using for anything that needs oil. Use olive oil daily before going to bed. It is a good moisturizer, will make you feel soft and fresh. Also good for dry skin care. Thoroughly massage with olive oil. Quickly makes skin softer, it will look and feel much smoother and will be firmer. It completely rid my face of ALL my many blemishes. I now have a totally blemish free, healthy and glowing, youthful skin as well. Oil feeds and nourishes skin with many beneficial, health enhancing nutrients. Olive oil is excellent even for acne prone skins. To get the most benefit, massage into skin on a daily basis. . It's best to massage with a forward and back motion using finger tips and front and sides of fingers depending where on face you massage. Circular massage is less effective. These are some great tips. I am definitely going to try the olive oil. Thanks! I get sun damage, but the olive oil has really helped. So super helpful. And, you are right the vinegar treatment and olive oil treatments worked wonders!!!! Sea salt/sugar mixed with olive oil works as an extraordinary at-home body exfoliation preparation. Apply olive oil in hair after taking a bath or shower for making the hair strong and shiny. oil, it sinks in nicely!!! I apply it exactly as you described it, right after a shower! Love the way my face and body feels!!! So soft, smooth! I've been using it with my Mineral application as well! Just dab a couple of drops with a a drop or two of water, then the mineral foundation, mix it with the sponge and apply!! Its great! leaves my mineral makeup, flawless!! Good old Olive Oil, when mixed with with lemon juice (two parts oil to one part lemon juice) makes a completely non-toxic (and, may we say, tasty) furniture polish. Oil and butter based on vegetables are to be preferred but olive oil is best of course and you can fry everything in it. To put it shortly: everything you eat should be based on fruit or vegetables. You will look and feel much healthier and younger too! olive oil is really good for your hair.it nourishes your hair and adds a healthy shine to it.but its important to use good brands like extra virgin.nourish your hair with olive oil at least twice a month and u will notice the result. The bottle is certainly quite cute! Castor is oil is definitely NOT the same thing as olive oil. Castor oil is actually quite drying and is used orally as a laxative. Also, check the ingredients on your spray can, that stuff is usually full of nasty chemicals. Wow, this was great! I just tried it, & it worked perfectly! Seriously, thanks for this! Olive oil moisturizes the skin. It can be very effective if you have extremely dry skin. It will make your hands baby soft and smooth. It can help with scars: olive oil will not erase them out, but it can reduce the scar redness and soften it definitely.It diminishes wrinkles and makes skin look younger in a natural way. Extra Virgin Olive Oil is great to add to a mask to make the consistency, but it also is good for its healing properties because of all the vitamin E.
i LOVE olive oil. use it every day. I use Olive oil mixed with honey and lemon....for my hair and face... :D it works mioracles..my hair sure does feel soft and frens even say it look shiny...and I can see it too...as for my face it feels so soft... well I put this only at night time...for my hair three times a week..and for my face everyday! !....I massage it really well and leave it btu b4 I apply my night cream I just splash cold water and pat dry..my face...as for hair well I just put a winter cap on and go to sleep so my pillow ain't messed up and I don't feel sticky :D... OLIVE OIL ROCKS! Olive oil is excellent for removing mascara. It’s much better than petroleum jelly or baby oil and is beneficial to the skin around your eyes. Olive oil can also work as a shaving cream for men with sensitive skin. Olive oil is moisturizing. But make sure you rinse well, as it can potentially clog your pores. This is a wonderful and easy to prepare homemade nourishing cream. For this to prepare, take 2 tablespoons of olive oil, one tablespoon of lemon juice, yolk of two eggs and ½ tsp of tincture of benzoin to preserve this. Beat yolk of eggs and add to this olive oil, lemon juice and tincture of benzoin. Plive oil is a good moisturizer. ure aloe vera- it's oil free, sinks in quickly, and is very healing and helpful for sensitive skin. Quickly Reverses the effects of aging on the skin and scalp (blast away graying and an signs of an aging scalp). Its the most brilliant substance known to mankind. Obviously in cooking. Its a good oil in terms of health as its not a saturated fat, so a nice way of dressing salads and using in stir fries. Its considered a superfood in terms of its antioxidant properties. So it fights the ageing process as part of your daily diet. Olive based spreads are far better healthwise than butter or margarine. Drink fresh juice and water all day, then at night drink a mix of olive oil and fresh grafefruit. Its a good detox and liver cleanser. A bit of olive oil on a cotton wool ball, placed in the ear overnight can soothe/soften painful earwax. i have a acne problem in my skin .... can i use the olive oil in my face ... if yes what is the best time to use ? I put warmed olive oil in my hair, wrap it in a towel for the afternoon before I wash it to go out. Makes my hair very soft! Oils such as olive, grape seed, sweet almond, and lavender are good and have been used by skin specialists to successfully beautify and moisturize skin and also to treat and cure acne. They do not clog, cause breakouts and surprisingly, lessen skin's over production of oils. Rid me of acne and healed ALL of my many (some severe) skin conditions and removed all blemishes and scars and gave me a totally clear, healthy and radiant skin. It's best to thoroughly and quite vigorously massage into skin. In just two days you will start seeing results. Skin will start clearing and will tighten, look and feel smoother and firmer. If focus massage on any scars, blemishes and make massage more vigorous this will greatly minimize them. Overtime massage will rid face of them all. Oils are perfect moisturizers. It's not necessary to remove after massaging. Simply splash face with water and dab dry with tissues. the best remedy for hair fall is olive oil.. apply olive oil to your whole scalp and massage gently.. for you it wouldn't be difficult because you had thick hair earlier.. telling you its the best remedy.. see for yourself.. Combine olive oil, cream and honey. Apply the mixture on your face and let it sit for ten to fifteen minutes. Wash off afterward with clean water. using olive oil to massage ur hair before sleeping helps it brings blood circulation into the head .. I have used olive oil, vinegar, coconut oil, and I make a tonic for my skin after washing my face with different teas and witch hazel chilled in the frig. I have used these for years, both of my grandma’s had beautiful skin until they passed away in the 80’s. I am 51, and everyone thinks that I am in my 30’s. I use goat milk soap in summer and a oatmeal soap in winter with a mud pack usually every week. I use Denver mud, and you can get this from Lehmans. I have extremely oily skin also. YES, olive oil may also be good for your skin. This is especially true if you have extremely dry skin or are allergic to topical creams and lotions. Olive oil is a natural juice which preserves the taste, aroma, vitamins and properties of the olive fruit. Olive oil is the only vegetable oil that can be consumed as it is - freshly pressed from the fruit. The beneficial health effects of olive oil are due to both its high content of monounsaturated fatty acids and its high content of antioxidative substances. olive oil, is very high in linoleic acid, . Your skin makes linoleic acid to help keep it soft, keep the moisture level up by slowing the drying effects of wind and low humidity and seal in moisture after a shower or bath. Skin oils also act as barriers to exterior pollutants. Olive oil hair care can also be done by combining olive oil with egg. This is a beneficial hair mask for enhancing the health and appearance of the hair. Olive oil benefits for the skin as a natural moisturizer is very effective. It can be added to many natural skin care remedies as well. Since olive oil contains many antioxidants, it helps to protect the skin from adverse effects of free radicals and is thus helpful in delaying the signs of ageing. Whenever your face needs softening and moisturizing, massage a small amount of olive oil into your skin, applying extra oil to rough or cracked areas. To heal dry feet, rub them with olive oil, then put on a pair of socks at bedtime and leave them on overnight. Dab a little olive oil on a cotton swab or tissue to remove makeup. It's good as any drugstore brand at removing mascara. I take a spoon of olive oil everyday.When i go out I still get carded and guys think i am 23. You do not have to necessarily have to drink it but if you start putting it on your salads and stuff you will notice a difference. You can also use it on your skin because eventually it will soften it up and firm it naturally. Natural Aloe Vera from a plant does this as well. The olive oil adds shine to your hair also. I get so many compliments on my hair because it is black and very shiny and looks very healthy. People always ask me what i use to keep it so healthy but i don't want to give all the secrets. It also helps to keep switching your shampoo and conditioners because if you only stick to one brand consistently then eventually the product has the reverse effect. I change everytime i run out and it works. Olive oil works great on my hair. I leave it in for about 30 minutes without the hot oil treatment and then shampoo it out. It leaves my hair soft, smooth, and stronger. Just make sure you wash out all of the oil because your hair will be greasy the nexy day. Of all the fats you can use, olive oil is among the very best. This is due to the high content of monounsaturated fats that make it up, which are known to be good for promoting heart health. Consuming small amounts of olive oil regularly are linked to improving blood chemistry and reduced instances of colon cancer, possibly due to its high antioxidant content. Before trying to conceive a child, women who were having a beautiful baby in mind took a bath with olive oil and laurel leaves. Pregnant women massaged olive oil on their skin to prevent stretch marks. Eye shadow was created by mixing ground charcoal with olive oil by ancient Greek women. In ancient Greece athletes massaged olive oil onto their bodies blended with aromatic plants. It was used to calm their muscles and relax before and after the Olympic Games. Also women used olive oil after a bath to protect the skin and smell nice, of course they did not participate in the Games. Pure soap made of olive oil is very mild; it is durable and can be used on any skin type to aid with retaining moisture and elasticity. Taking advantage of the natural moisturizing properties of olive oil, the soap soothes and nourishes the skin. Thanks for the tips on Olive oil…we at Arganica love finding and learning about all that nature has to offer us. olive oil helps maintain beautiful, radiant age-less skin because is allows for healthy blood blow to the skin while simultaneously minimizing oxidation and inflammation. Olive oil’s lipid structure is very similar to that of the skin, and so it is easily absorbed with no irritation. In its pure state, olive oil contains large amounts of naturally occurring vitamins and minerals. These act as antioxidants protecting the skin from damaging free radicals. Its perfectly helthy and mosturizing to your skin. i would also reccommend and face wash that has that in ti. mix 2 tbl spoons of honey with 2 table spoons of extra virgin olive oil. (must be extra virgin) and 1 tblsoon of suger. Extra Virgin Olive Oil does wonders for your skin, it helped clear up my acne. can olive oil reduced the sugar level in diabetic patients , as i am a diabetic patient and let me know the usage of olive oil for this purpose and how use it. I have a skin keloid ,itching,,growing, sometimes painful,pullig pain. Can I use olive oil orally and what dose? Olive oil is the best oil on earth . It has many benefits and uses , as food and for massage of the skin . Many olive trees are 3000years old . You can use it for everything you like and wish . It is a wonderful oil . Believe it or not, olive oil is the best skin moisturizer. And it is not at all greasy. Try it on a small spot and see what you think. Olive oil always works well with my hair. Also try putting on mayonnaise...works magic! this works beautifully! i left the oil on all day, and my hair is new! Olive oil is probably one of the best ingredients you can use to moisturize your hair. It not only moisturizes the hair shaft, it moisturizes the scalp and that is where the problem with dry hair begins. Heat all the oils and the rest of the ingredients for 10 mins and drain it and store in a cool place. Use this oil around 3 times a week. While using mildly heat the oil and apply it on the scalp with a cotton and message for 20 mins.Then wash off with mild shampoo. Mix Egg White and Extra Virgin Olive Oil, and apply to clean hair. Use as much needed for your hair length. Leave on for as long as you can then wash with regular shampoo. A faint smell of the mixture may remain in your hair until your second wash. I use it every day. I use it to seal in my moisture, since I have very dry hair. I've also used it for hot oil treatments, and I've mixed it with honey for moisturizing treatments. There are many "foods" you can find in your home that are great for your hair, including eggs and real mayonnaise. For the hot oil treatments, warm the oil in the microwave and then massage it in your hair. Put a shower cap or plastic conditioning cap over your hair and leave it on for about 15-30 minutes. Rinse for a few minutes and then shampoo and condition like normal. I recently used a mix of honey, olive oil, and buttermilk and warmed them in the microwave, and then added non-bleached flour to make it a paste and put it in my hair. I left it in for a couple of hours while I wasn't doing anything and then washed it out and conditioned (no shampoo) my hair and my hair was shinier and moisturized. You can also use just honey or honey and olive oil. If you have curly hair then the honey might relax your curls some. Extra virgin cold-pressed olive oil is the best. If you can find it in organic then that's even better. If not, then pure olive oil will work okay. The best oil for your skin is Olive Oil. You can reap the benefits by eating with it, or having a deep moisture treatment by applying directly to your skin. Massage into nails and cuticles to hydrate and nourish them. For dandruff or a dry itchy scalp, massage into scalp at bedtime. Shampoo out in the AM.Olive oil is a great natural moisturizer. Massage it in anywhere you have dry skin, even chapped lips. Add a couple of tablespoons to a bath to help moisturize and soothe your skin.Olive oil is a great cleanser for dry skin. Use 1/2 cup honey with 1/4 cup olive oil for a natural hair conditioner. Use less oil if you hair is oily. Mix with oatmeal and use as a soothing scrub and/or mask. As a night cream. When combined with vinegar and water in equal proportions, olive oil will soften and moisturize the skin as you sleep. The vinegar acts to lighten skin discolorations and helps to exfoliate the skin. Olive oil has antioxidant properties and thus protects the skin from those harmful and damaging free radicals. It is beneficial in slowing the aging signs such as fine lines and wrinkles. Always look for extra virgin olive oil or organic extra virgin olive oil in olive oil skin care products or when formulating your own olive oil skincare recipes. Pure or light olive oil is likely chemically processed and would be lacking the beneficial skin care elements. Olive Oil actually does make your skin look and feel better because I had very blothcy skin and my mom recommended this is to me. I had to put it on my face and put a steamy hot rag on my face to absorb it. it contains powerful antioxidant that can help retain the beauty of your skin, help heal skin diseases, and make your skin tighter and firmer. If you don't like the smell of olive oil, you can mix it with your favorite essential oil or mix it with your favorite body oil. # Olive oil is best applied in the areas like the tummy and buttocks since it is prone to sagging and losing its elasticity. Does putting oil on the skin make me fat? I rub in olive oil all over my body everyday morning half hour before my yoga session. After my yoga session the oil is gone (only a small trace is left), even if I don’t do any exercise the oil is gone after some time, what happened to the oil over my skin? Does it got absorbed into my body? If so does it contribute to my body fat? I've been using Olive Oil for a very long time and I have only good things to say about it. This is amazing, I had an ulcer on my leg for approx. a year and due to the constant irritation, the skin turned almost black, my skin should be a nice brown but the area was definitely black and I was told by two of my doctors that there was nothing that could be done about the discoloration. I like to try different things, so I started with the moisturizer the doctor gave me just to keep it moist, then I started taking vitamin E capsules, the discoloration on my leg still hadn't changed, so I tried Vaseline for a time, it kept my leg very moist I must say. I applied the Vaseline after washing the area. Then I got the bright idea to use olive oil, don't know why, just thought about it. I was a believer in the use of oils and had used castor oil for years mixed with two other oils to help with my arthritis. After using the Olive Oil for several months, the skin definitely changed and became much lighter, my doctor couldn't believe it. I kept using the Olive Oil and my skin is now so close to my natural color, no one notices the difference. The skin directly around the ulcer, the circle did not change, the discoloration on the leg itself has changed so much. I also take a very warm cloth and lay it on my face after I have applied olive oil to it. This was a nightly regimen but not anymore, I do it now twice a week. I have a few very fine lines in my face, I see them but most people ask me where. I'm guessed to be around the age of 45 on good days and 50 on not so good days, I'm actually 65. Currently I'm under a severe amount of stress and an old demon from many years ago has come back to haunt me. The demon is psoriasis. The strange thing is, it has come to a totally new area and that's the area I don't apply Olive Oil to. The back of my shoulders and the top of my arm. The areas where I do apply Olive Oil are not affected. I use olive oil on my face, and it doesn't clog your pores at all, and it makes your skin really soft and moisturized. you can pretty much use it on anything also, like your hair if your hair is really dry. I’ve been using olive oil on my face for several days now, and it’s making a huge difference.It leaves your skin feeling clean, with no trace of greasiness. The olive oil scent dissipates quickly or washes off in the warm water, so you don’t end up smelling like a walking bowl of salad. I’ve been using olive oil for some time too as my night time cleanser. It works just as well if not better than the expensive cleasing milks on the market, and if you start with a dry face and massage the oil off with hot water, there really is no greasy residue. You’ll feel extremely clean without that stripped effect you get from cleansing foam. If you want you can always follow up with toner or wipe a used green tea bag over your face. I received L’occitane’s apple velvet cleansing oil for my birthday a while back and while I enjoyed using it while I had it, I must say I have not bothered to replace it after I ran out. I just went right back to olive oil and have been enjoying similar results. The only advantage I can see to using the packaged cleansing oils put out by luxury skincare lines is the pleasant scent – the L’occitane oil certainly smelt delicious. But I can live without that and be $25 richer. Get a fast facial at home by washing your face with warm water and then massage it with olive oil. 3. HAIR PACK: egg yolk + olive oil = dandruff free hair, warm olive oil = conditioned hair. its perfectly healthy and moisturizing to your skin. i would also recommend and face wash that has that in ti. mix 2 tbl spoons of honey with 2 table spoons of extra virgin olive oil. (must be extra virgin) and 1 tablespoon of sugar. Olive oil is also effective in diminishing acne scars and stretch marks. It helps to lower your risk of heart disease by improving related risk factors. olive oil is generally very good for the skin. so please try it and become Miss. beautiful skin. bye . hi...i have oily skin.i want to use olive oil.pls suggest the ways i can use it. @Anonymous comments (#120, #121) (I presume you are the same person): Olive oil has extremely low clogging probability or rather it is one of the least non-comedogenic oils, according to this source. So there is very little chance of your pores getting clogged and getting acne or blackheads. I don't think it would do any harm for oily skin if used overnight. Nonetheless try it for 2-3 days and see if it causes breakouts. If it does, then discontinue its use. BTW, applying olive oil won't create any more open pores. Olive oil could be used as a make-up remover and leave a fine layer of oil on your skin to nourish it all night long. Olive oil is great as a deep conditioner. Olive oil as a hair massage? Now that is something new I haven't heard of. it helped clear up my acne. Olive oil repairs sun damaged skin and protects against skin cancer. It is a mild, non-irritant, antibacterial oil that is rich in antioxidants; hence is ideal for the skin. it is an oil, it helps to form a barrier against irritants to the skin, but without clogging the pores. Olive oil has been used to treat a long list of skin problems, and is expecially helpful for dry skin. It is definitely an oil worth trying! This is awesome! Thank you. We have 4 daughters and we have enjoyed trying this on our nails. I plan to use it on my face and hair as well and see how that works. Blessings! 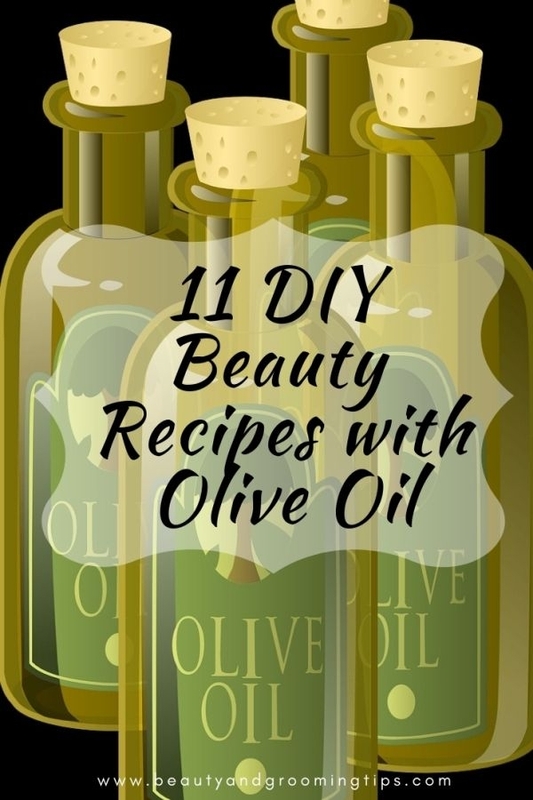 Olive oil is a powerful skin moisturizer, and one of the most well known home remedies for dry skin. Rich in nutrients and antioxidants, olive oil nourishes the skin without blocking pores. I Mix avocado honey sugar and olive oil and put it on my face, It works so good. Im going to try the olive oil for my body because my skin gets super dry during winter, wish me luck!! Greek wealthy women used to take baths in olive oil because it was so good for their whole body. can i use olive oil on my 9 years old daughter face to fade a few freckles she ha developed lately? Yes, you can use olive oil; it's safe for kids' skin also. But olive oil on its own may not help much for freckles. You'll probably have to mix some more ingredients in it. Read this post as well.